You might say that this is the perfect sofa, because it offers all the benefits of reclining furniture without the drawbacks. Not only is it packed with enviable designer style, but the sleek metal control panel on the side releases hidden leg-rests and the sofa recline mechanism. 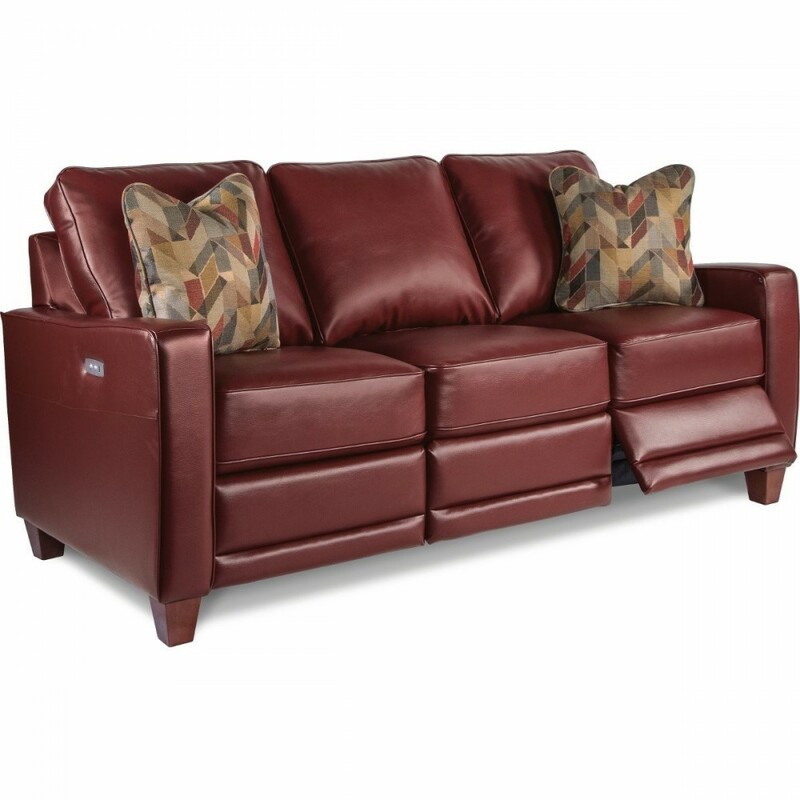 Unlike a traditional recliner, this unique sofa has a zero wall proximity mechanism that keeps the back frame completely stationary while the seat and leg-rest slide forward in recline position. 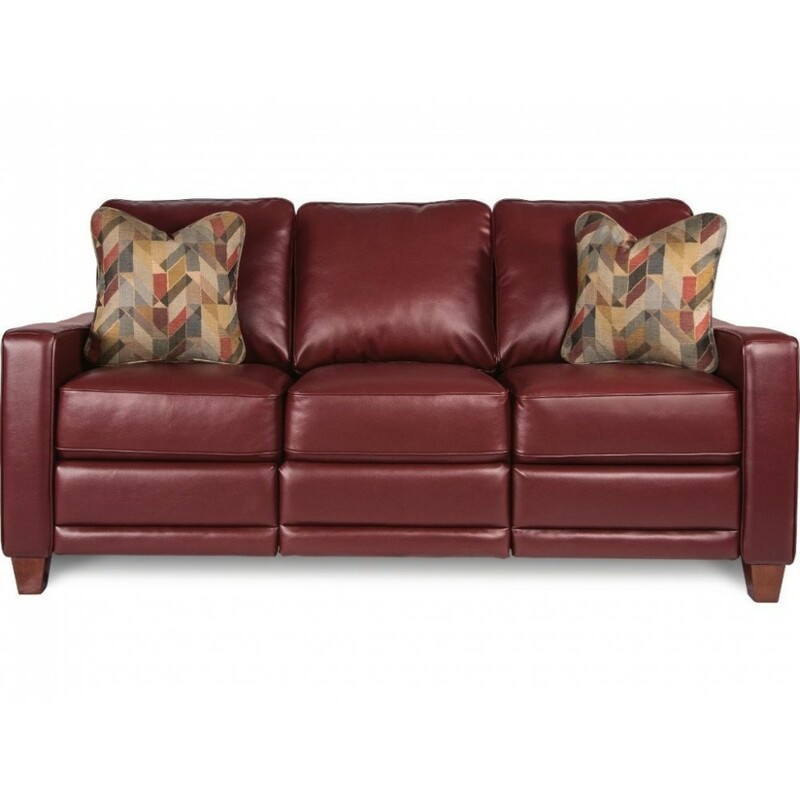 With clean lines, dipped track arms, welt detail and rich wood legs our Makenna Power Reclining Sofa has a modern edge that goes well beyond its optional double row of nail head trim. Introducing duo™ from La-Z-Boy®. This revolutionary new line of sofas, sectionals, loveseats and chairs pairs high-end style with the unexpected power to recline. Add to that built-in USB ports and you’ve found your new hot spot. Discover the new look of reclining comfort with duo.